One of my favorite bloggers, Evelyn, of her own site Films and TV Series: What About Them? has ever so kindly nominated me for my second Liebster Award! So of course, I must extend my most heartfelt thanks to her – because it truly means so much. If you don’t follow Evelyn’s blog, be sure to do so, as she’s got so many fantastic articles there. 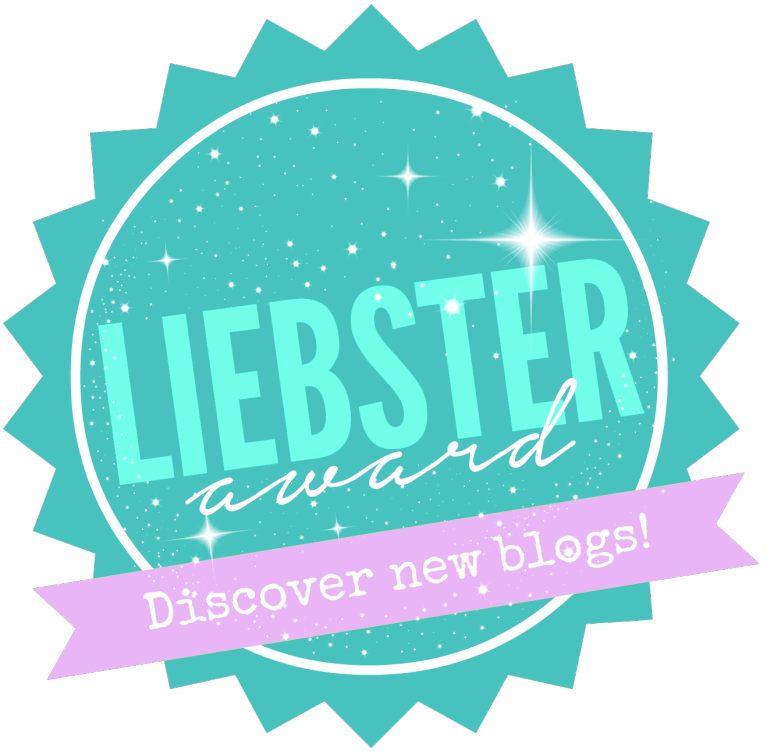 The Liebster Award is an online award for bloggers to gain more support, recognition and just to get to know the person behind the blogger. It also helps others to discover new blogs and to build a sense of community in the blogging world. While I love both of these media, I think I’d have to go with films. Films are an all- encompassing experience; you become completely engrossed with them for an hour and a half to two hours, and you get to experience the story all at once. With TV shows, the story pauses every 45 minutes for episodes – and they’re designed to tease, in order to keep viewers coming back each week. 2. Marvel films & Comics versus DC & Films Comics? Although I don’t really read comics, I definitely prefer Marvel films to DC films. I totally respect the brilliance of The Dark Knight trilogy, but that’s the only amazing DC films I can draw up. Marvel seems to produce endless amazing films – Guardians of the Galaxy, Iron Man, the Captain America films, Avengers, and the films that are just fun like Ant-Man and Deadpool. Marvel has my vote for sure. 3. What’s your favourite film snack? Popcorn. Hot popcorn. With butter. 4. What’s your opinion on reboots? Like the new Point Break? 5. What’s your favourite Young Adult film? Think of the Hunger Games, Divergent or Maze Runner? I’m a ride or die Harry Potter fan actually, both the books and the movies! I would like to cite my Harry Potter Snuggie, Platform 9 ¾ poster, and Dumbledore wisdom poster as evidence. 6. If a film is based on a book, would you prefer to read the book before or after seeing the film? I used to be adamant about reading the book first, but that was when I had more time for reading. These days, I see the movie and then think to myself, Wow, I should totally read the book, but generally I never get around to it. 7. Going to the cinema or watch a film at home? While a trip to the movies is always really fun, it’s just so expensive! Watching movies at home guarantees you the best seat in the house and inexpensive snacks. Furthermore, you can canoodle without feeling guilty or disruptive. 8. Home cooking versus going to the restaurant? Well, I can’t cook. So usually, going to a restaurant is my favorite. 9. Which film describes your life in some way? I like to think my life is slightly like Pitch Perfect, although sadly I don’t have a friend called Fat Amy. And to be honest, symphony orchestra life is a bit different from acapella life…but it can still work, I swear! 10. What’s your favourite film soundtrack? This is such a hard question, but I’ll have to say that my absolute favorite soundtrack is the “Awesome Mix” from Guardians of the Galaxy. It’s got such an amazing selection, and it’s all used so well within the context! What a way to bring back “Cherry Bomb”, eh? 11. Are you going to watch the Oscar Show? Unfortunately, due to orchestra engagements, I’ll have to hear about it from the internet the next day. What is your favorite movie from 2015? What are your most anticipated movies for this year? Biggest Disappointment (movie or TV show) from 2015? What celebrity do you think you’d get along really well with – who could be your best friend? Do you have a celebrity lookalike? If not, is there a celebrity you’ve always imagined yourself being like? Do you have a travel bucket list? What are the top three places you’d like to visit? Name your ideal comfort meal. If you could choose any epic movie death, which way would you go? Which fictional town (or school, like Hogwarts) would you choose to live in? How long have you been blogging for, and why did you start? Thanks for reading, hope my answers are satisfactory to all 😉 And of course another huge thanks to Evelyn. Enjoy, everyone! Aye, I’m on this list =D. I disagree a BIT about studios needing to stop remakes. They don’t need to stop them, they just need to pick them with care and then, once selected, knock them out of the park! Thank you bunches! I shall look into this. Love the questions. Popcorn? Nah, can’t be better than cashews!! *laughs* That’s a good point. You really can’t…but…butter is awful! It’s being very crazy, but 99% of it is good 😊 how about you? I’m good too, getting busier and all but yeah I’m doing fine! I’m in the midst of prepping my Ucas essay 🙂 And you? I remember you once told me you’re in some orchestra? Cool! Nah your’s sounds so much more fun! Congrats! I really have enjoyed reading some of your articles. You have a great website. I am just starting, and I have a similar type website. I hope mine will one day be as good as yours!